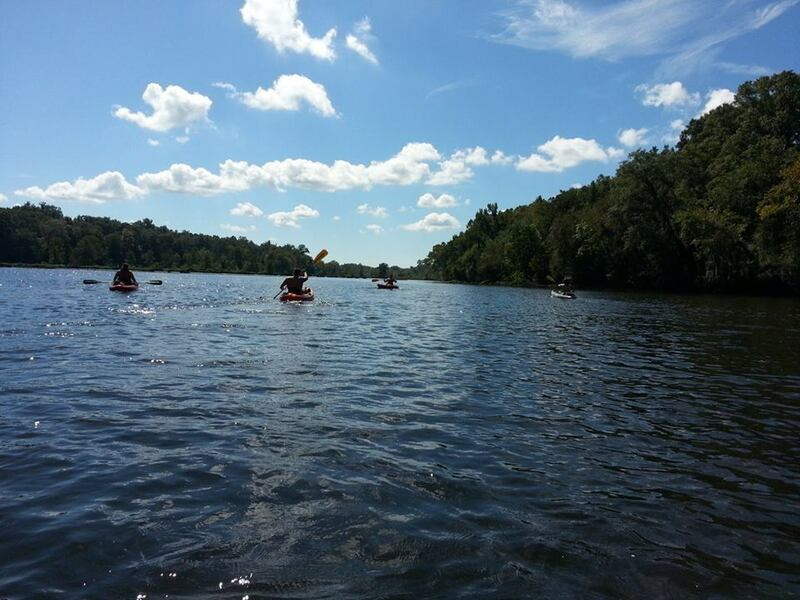 With the colder weather coming in, it was time for me to organize another kayaking trip while the water was still warm. We went to bed early the night before so we could be ready to head to Wetumpka, AL for the early trip starting at 9:30am. 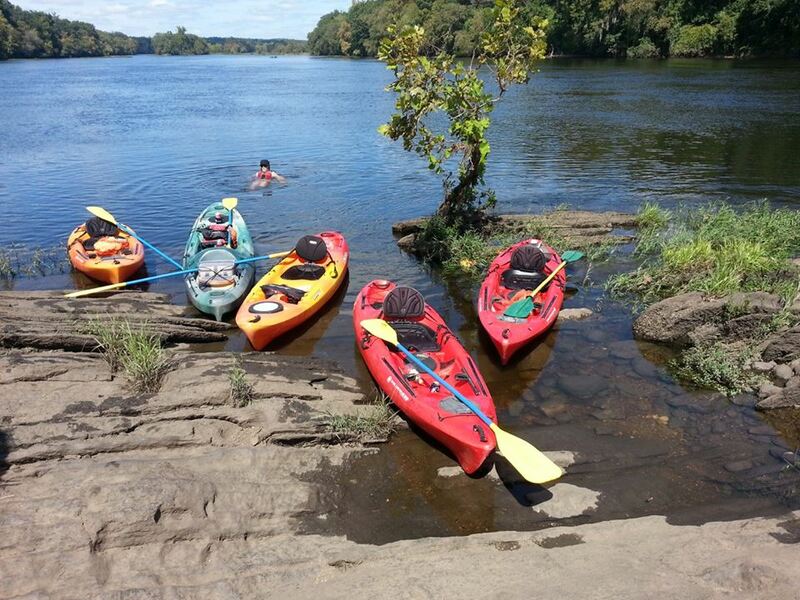 Ever since I discovered kayaking, Coosa River Adventures has been my favorite place to rent from. 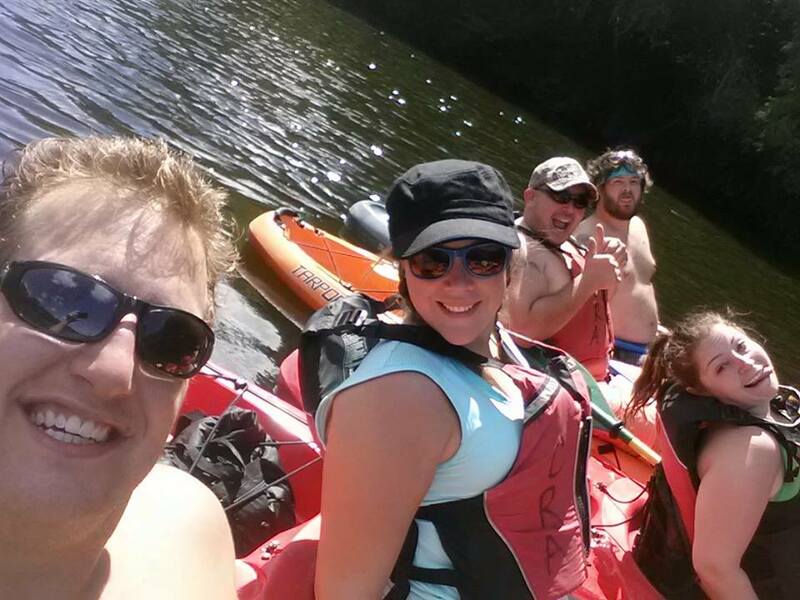 The staff are so friendly and helpful and it’s only $29 to rent a one person kayak for the entire day. 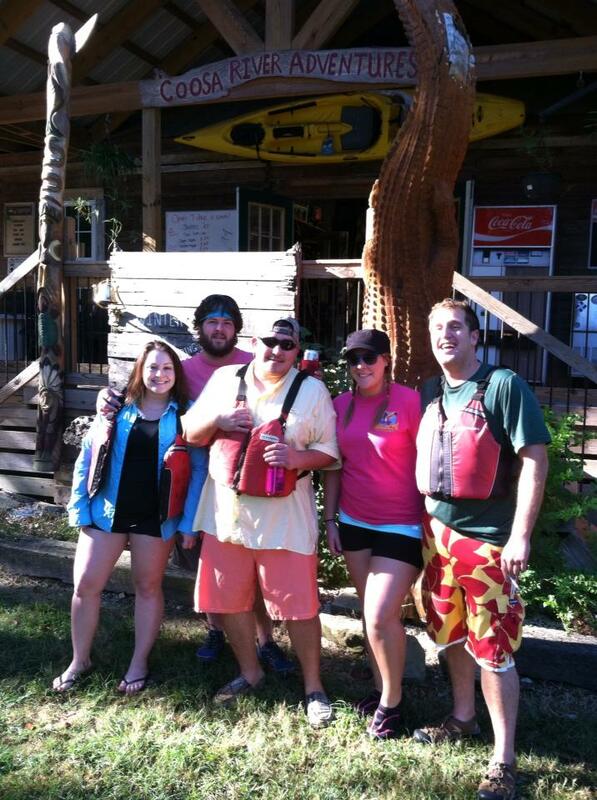 Coolers and dry boxes packed, we had a blast out on the water all day! The water temperature was absolutely perfect! I also spoke with the owner and he told me that the water should stay a great temperature until Thanksgiving so this may not be the very last trip of the season! Setting out on a gorgeous day!! 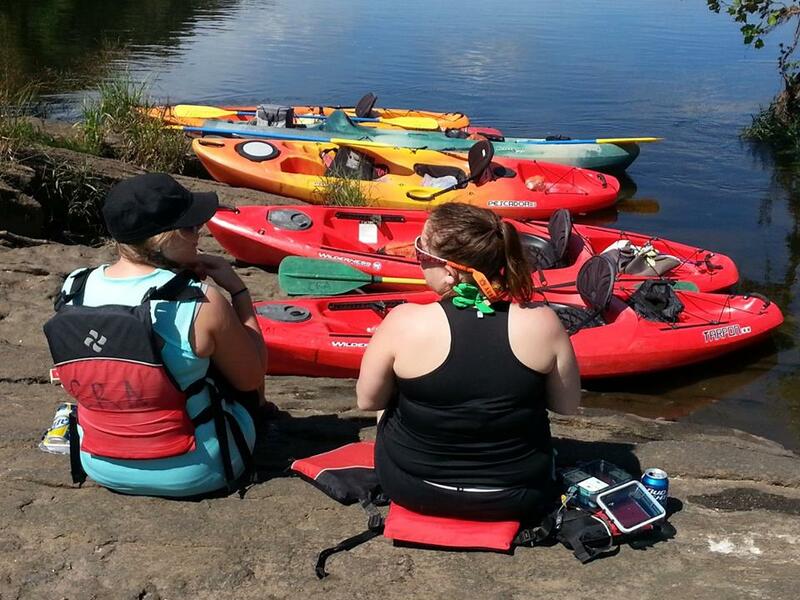 It was really nice being the seasoned veteran of the river this trip. 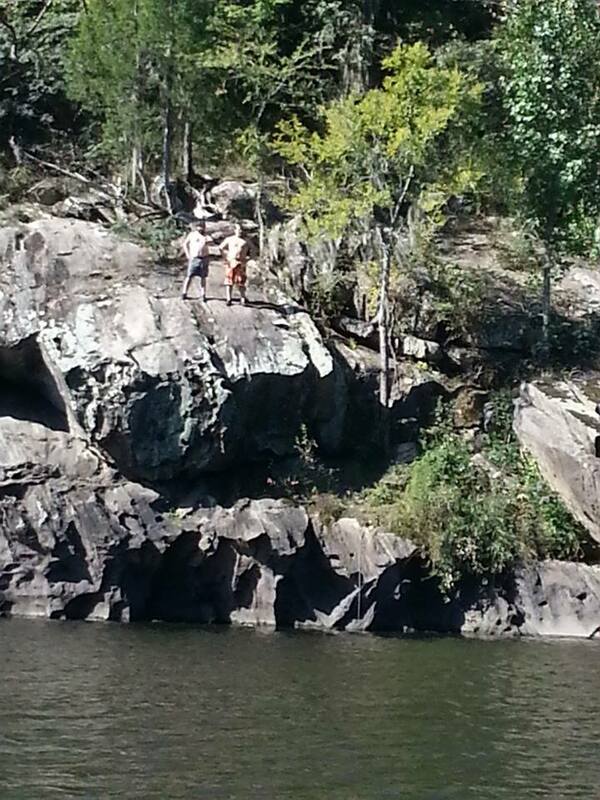 I did manage to fall in a couple of times and I’ve sure got the “Coosa Tattoos” to show for it!! Can’t wait to organize one more trip this year!! 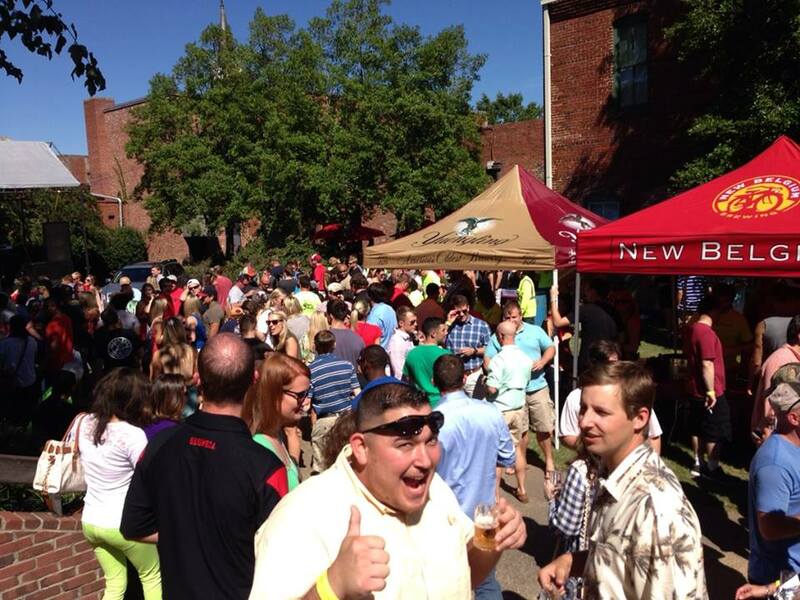 This past Saturday was the 4th Annual Uptown Beer and Wine Fest and it was another great turn out! Last year at this event, I ended up in the newspaper doing the Wobble so I decided to keep it a little more classy this time. 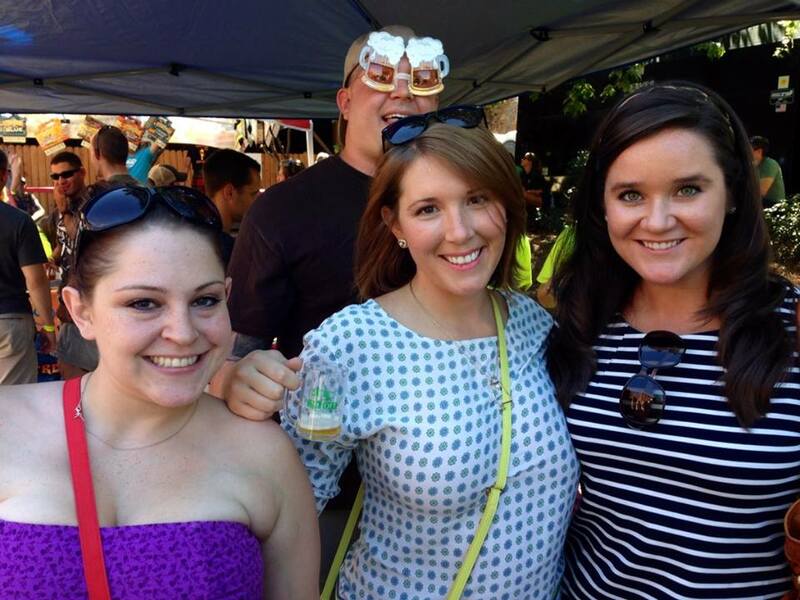 All kinds of people of people were in attendance and it was so nice running into old and new friends while sharing mini glasses of brews. 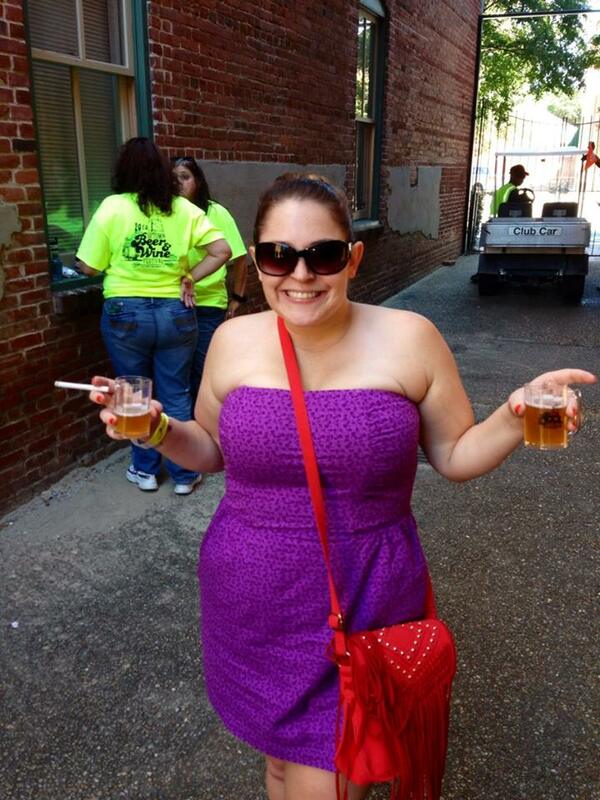 I wish I’d kept better tabs on all of the beers and wines that I consumed but all were pretty darn good to me! Who says you can’t have two cups?? 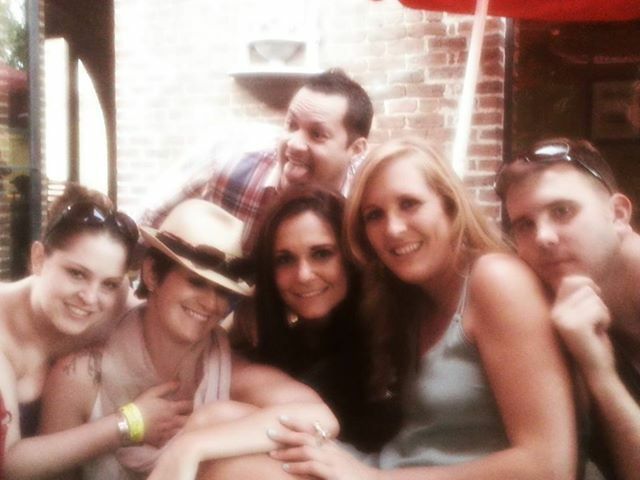 Roomie having a blast in the middle of everything!! 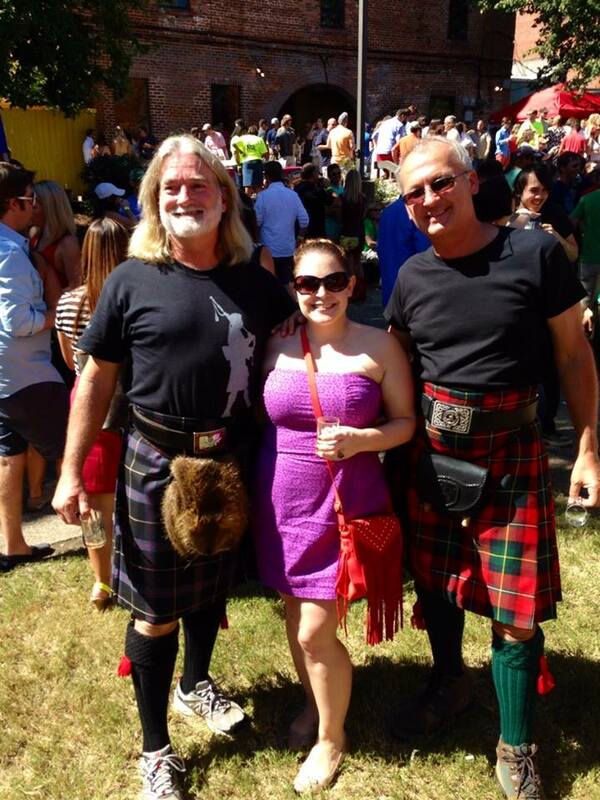 There’s no better way to bring in the fantastic fall weather than a good ole festival!! I usually don’t post videos or trailers but as you may or may not know, scenes from the new Need for Speed movie were filmed in my hometown of Columbus, GA over the summer. Footage included in this trailer was filmed right here on our 13th St Bridge! I wasn’t able to watch the actual filming but it’s very exciting to get to see a place where I drive all the time in a big screen flick. Not sure if I’ll like the movie, but I think I’ll have to watch it just for these shots! What did you think of the trailer? Will you watch? If you’re from Columbus, GA, were you able to see the bridge and how excited are you? 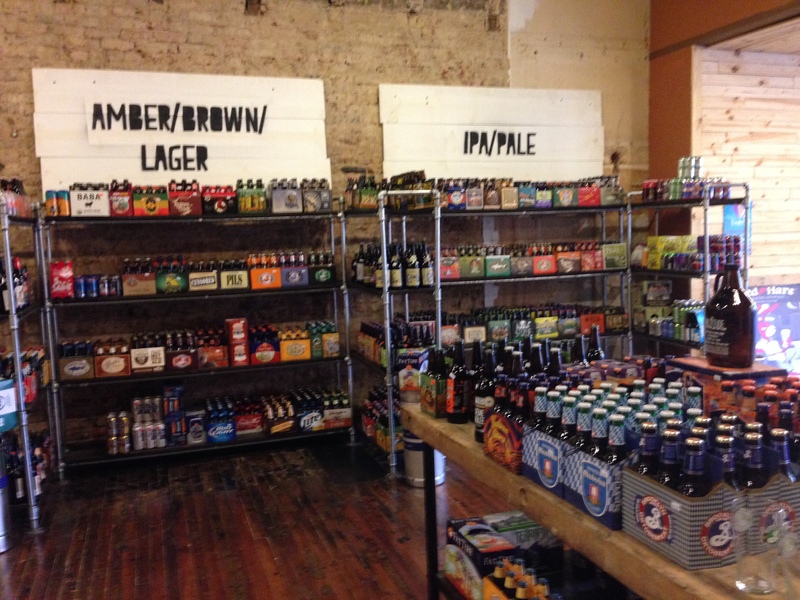 Last Friday was the grand opening for Malitude, Columbus’ first craft beer and wine specialty store! 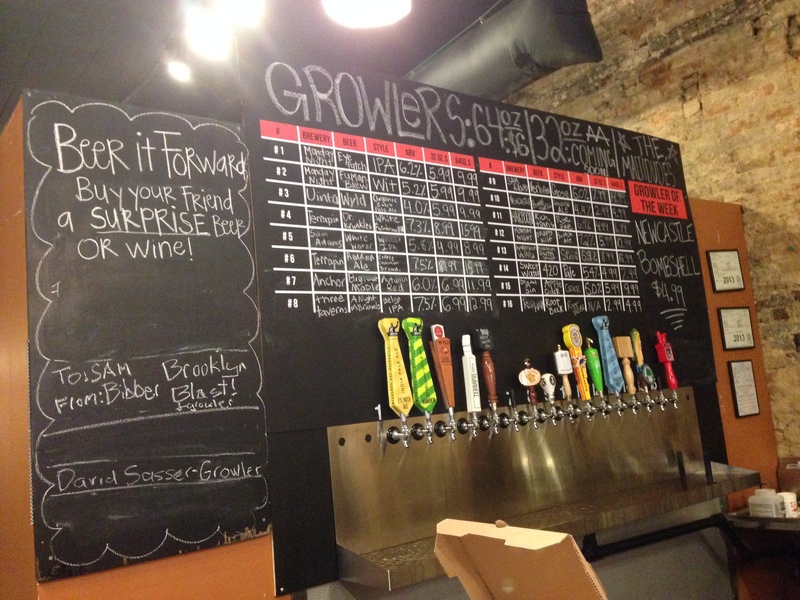 Located on the main strip of Broadway, this dog friendly beer and wine shop is an awesome new addition to the growing Downtown scene. 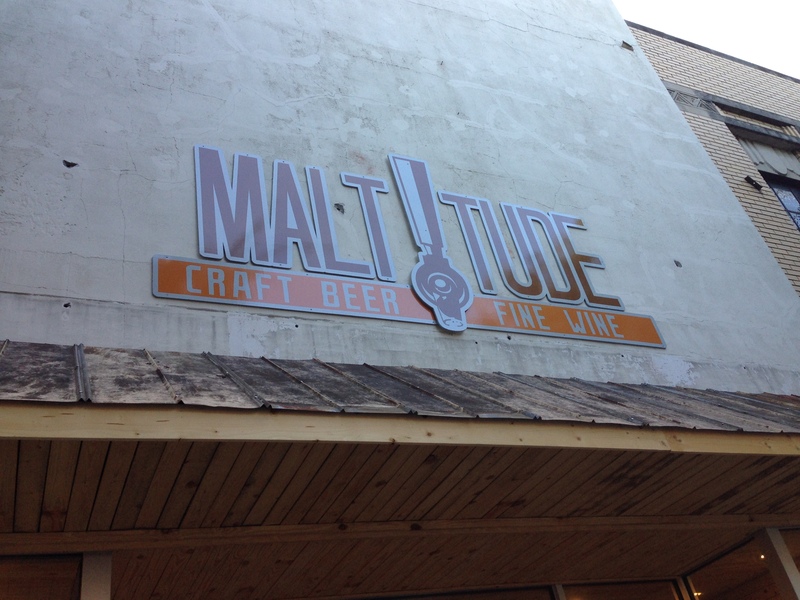 With bike stands, build your own six-pack stations, and the first growler filling/refilling store (to my knowledge) in C-Town, Maltitude already has the ability to attract customers from all different walks of life. The staff are super friendly and knowledgeable and didn’t look down on me at all for not being a craft beer connoisseur. I absolutely adore the dog drinking station! It was really awesome getting to see people bring in their pups instead of leaving them out on the sidewalk. Got me thinking that now all we need is a dog park nearby! 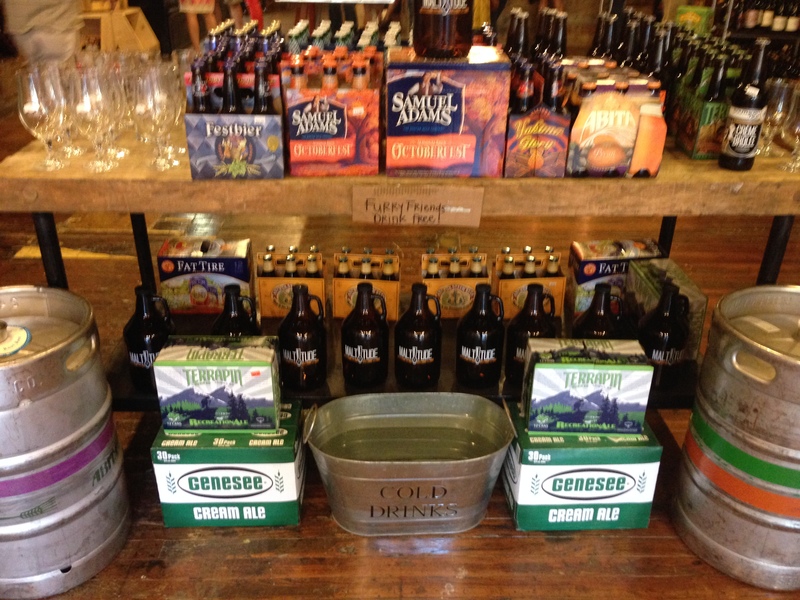 We wandered around looking at everything and eventually decided on one of the mix and match six-packs. Even ran into some old friends at the register! 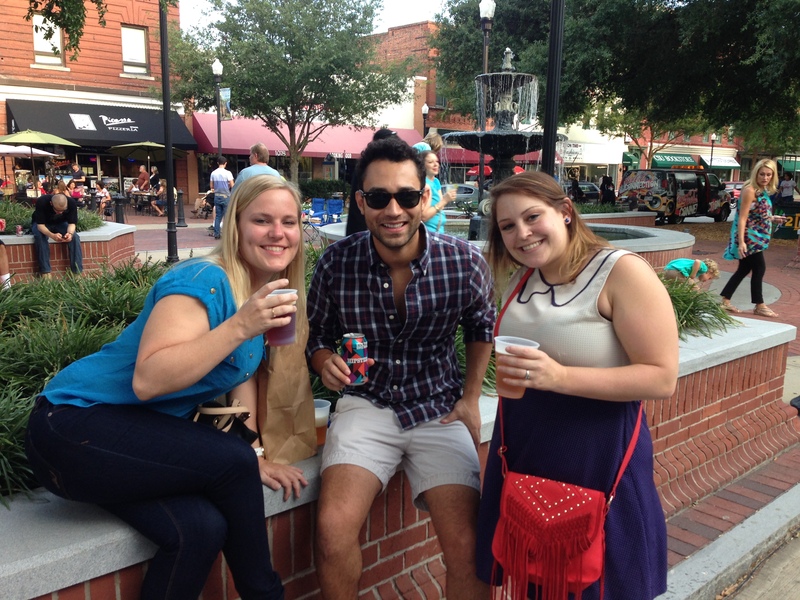 After check out, we decided to head out to streets to enjoy our brews while listening to the Outdoor Concert Series. I can already tell that this new store is quickly going to become a Columbus favorite! 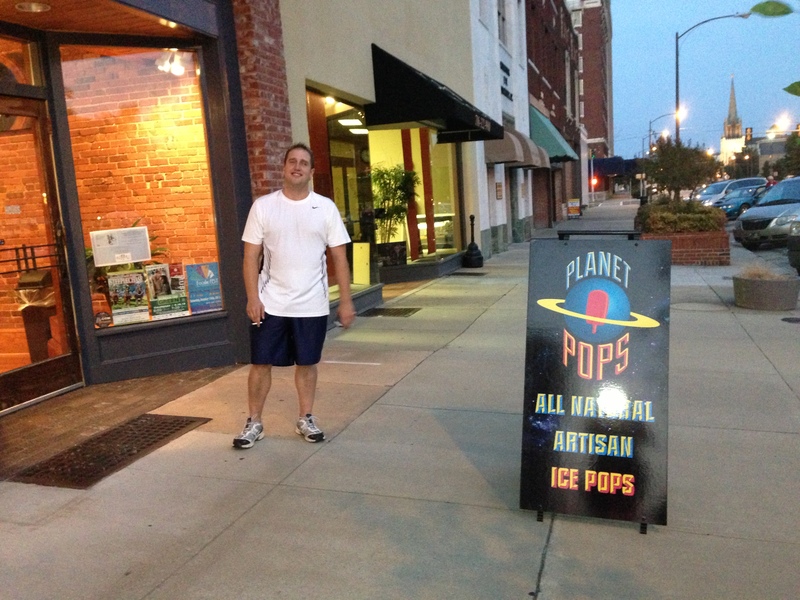 If you’ve read my previous post about Steel City Pops, you should already have an idea of how much of a popsicle shop lover I am. Well guess what?? 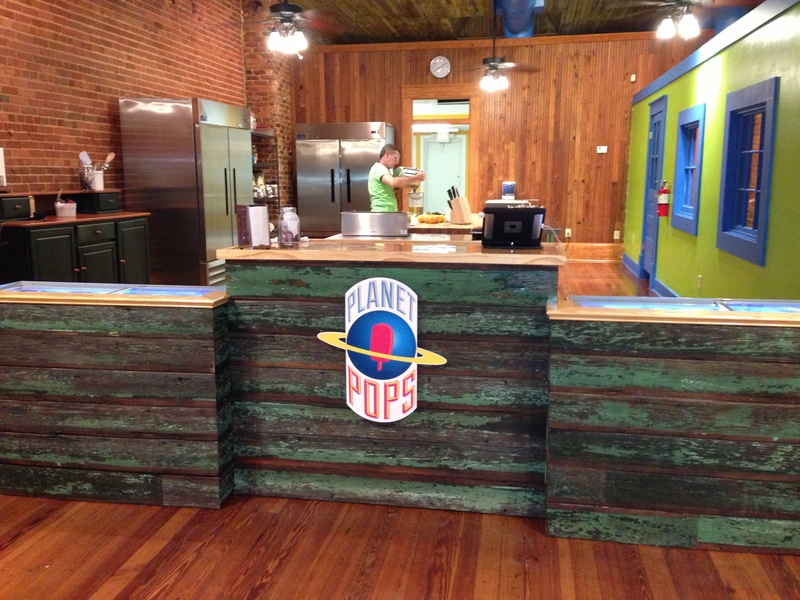 Columbus, GA has recently gained it’s very own pop-shop!! It’s located downtown right next to the Black Cow restaurant on 12th St. 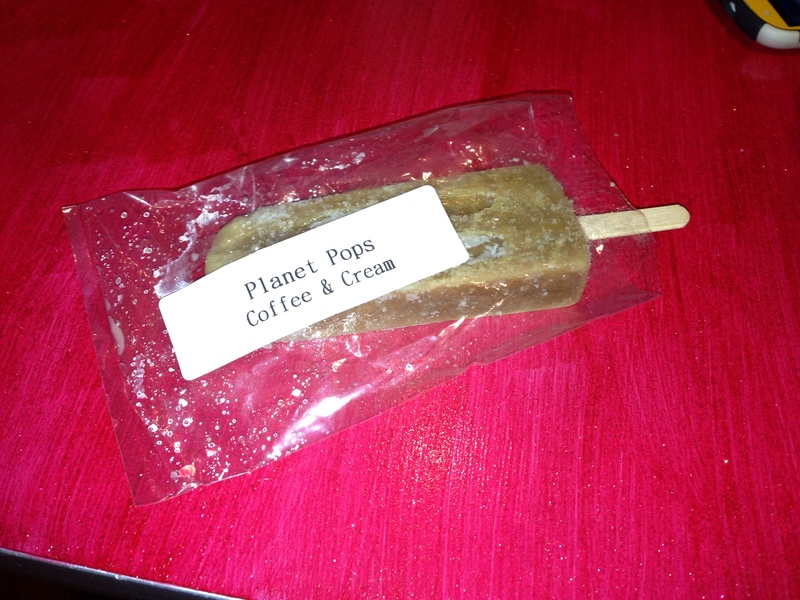 They have new flavors every day and have recently completed a new website that should be updated often. We decided to add fresh popsicles to our Tuesday night bike riding ritual and here are some pictures of our first trip! The inside is gorgeously redone and much bigger than you’d think. I spoke with the owner and he stated that he too had gone to Steel City in Birmingham and had loved the idea so much, that he decided we needed one here as well! Small world, right? I decided to get a little crazy this time and order the Coffee and Cream. So good!! At first it tastes like strong coffee then you start to get the sweetness of the cream. Would be a great after meal dessert. Can’t wait to get back and taste ALL of the other fun flavors!! Dancing Needles War Eagle Special! 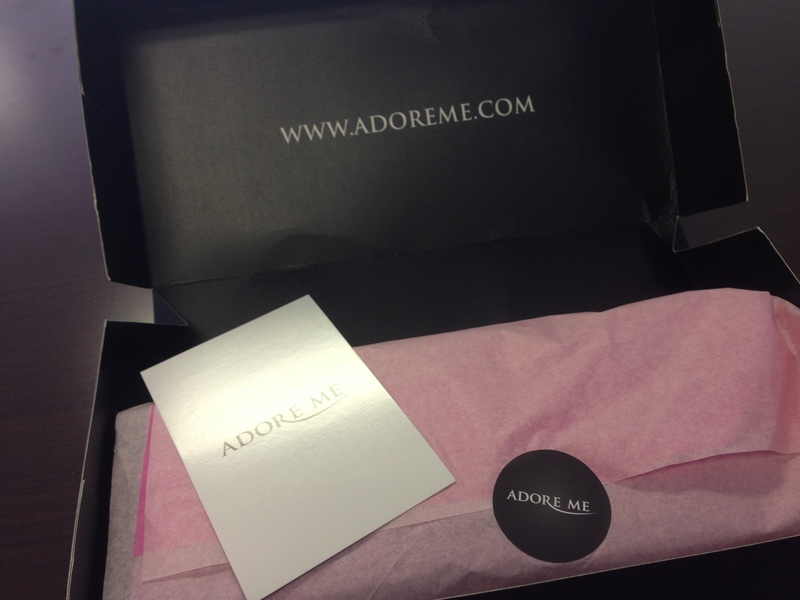 Dancing Needles is a cute local boutique store that I love to order gifts from. They are always having great specials and deals that I hear about through their Facebook page. Unfortunately, they are located a little far from my office and close before I can get over there so rarely do I get to grab one of these great bargains. I am so glad that I was able to participate in this one! Since Alabama and Auburn won their games over the weekend, Dancing Needles celebrated by giving their football loving customers a free gift. All that was required of you was to run by the store and yell “Roll Tide” or “War Eagle”. Not one to miss a deal of any kind and huge AU fan, I made my way down and excitedly yelled War Eagle. Here’s the cute cup that they made for me! Interested in a free cup of your own? Keep an eye on their Facebook age for new weekly deals and specials. 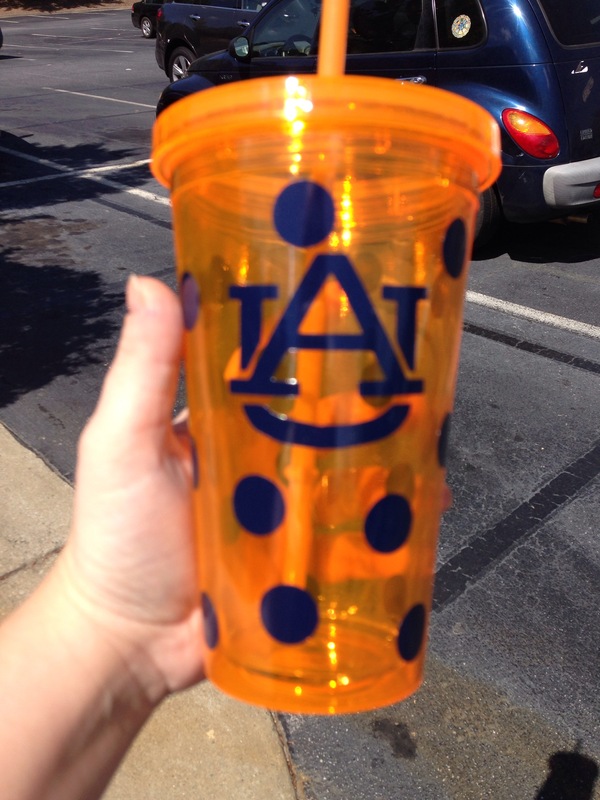 This week I hear they’re having a Georgia tumbler or wine glass giveaway! Sometimes in life we let tensions build up because we afraid to let the other person know where we stand. We come to resent the things that bother us in others that we ourselves are afraid to point out. The other day, the BF (JB), and I had an argument. We both shouted our needs, disappointments, and desires in a desperate attempt to be understood. I’m not saying that yelling at each other is the way to go but sometimes it helps to release all of the pent-up frustration that can come from two separate entities attempting to forge their lives together. 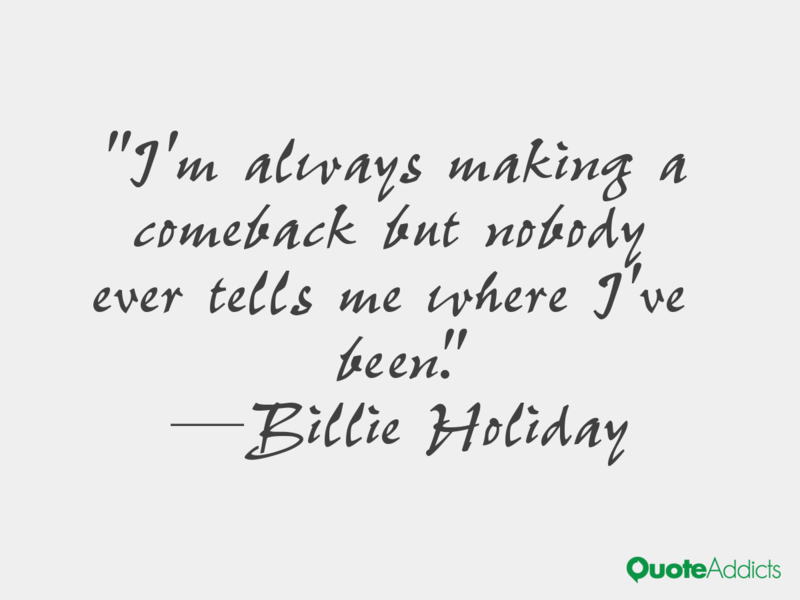 We’re both strong-willed and set in our ways. There are things that both of us need to make us feel essential and important that the other is not always able to give. It’s the ability to continue to build and grow together even after these superficial fractures that make it possible to continue to strive towards somethings bigger. 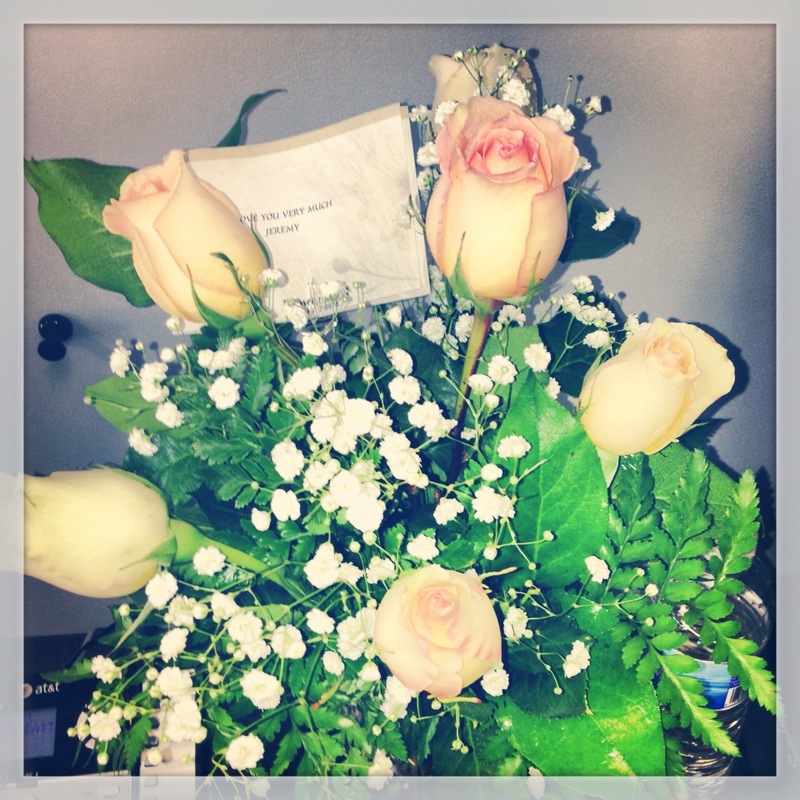 Here are the flowers that JB had delivered to my office today!